Proper usage and maintenance of a sewer line is an essential task that requires a collective responsibility from both homeowners and the institutions responsible. However, only a few property holders are aware of this. 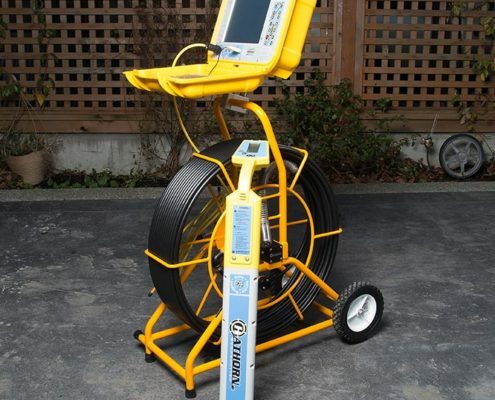 Any interference in a sewer line can cause wastewater to back up to the source. This can cause severe property damage in the home and commercial centres. To prevent this kind of damage, proper cleaning and restoration of sewer lines is important. With modern technologies, this process has been made easier. Unlike in the past when plumbers were forced to dig down to the pipes to fix a leaking pipe, today inspection cameras are used. 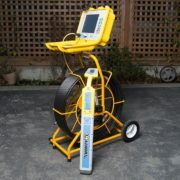 Sewer inspection cameras have become a precious tool in plumbing works. This is made of fibre optic cameras that allow visual monitoring of sewer lines laid underground. This camera determines the internal conditions of the pipe and gives feedback to the external monitor. An elastic bar is fixed with a high-resolution video camera on its end. This is then inserted into the pipe to carry out inspection. As this goes through the pipe, some video images are broadcasted to the operator. These videos are then saved in a videotape where they are recorded permanently. The radio transmitters in the camera make a recording of the physical location and the depth from the surface. Then after, the detected defect is corrected by an expert. Also, there can be several leakages in a sewer line, and a thorough inspection may be needed. This can be achieved by using a camera tractor. The inspection can either start from the source of the pipe or the main system pipe. The truck can be parked above the point of access. A sewer push camera with a long flexible cable fastened on its back and is then lowered into the system. Then, the operator gets into the truck to carry out the inspection. He/she remotely operates the camera from the truck. When the process is over or when the cable is fully stretched, the camera tractor is reversed to wound up the cable. This process can be repeated until when all the defects have been identified.